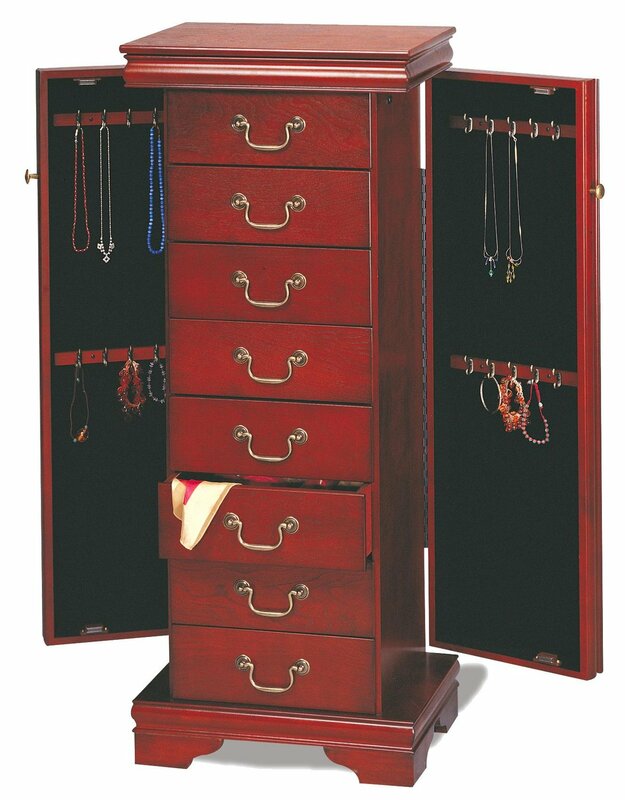 This Louis Philippe style jewelery armoire is the perfect complement to your traditional home. 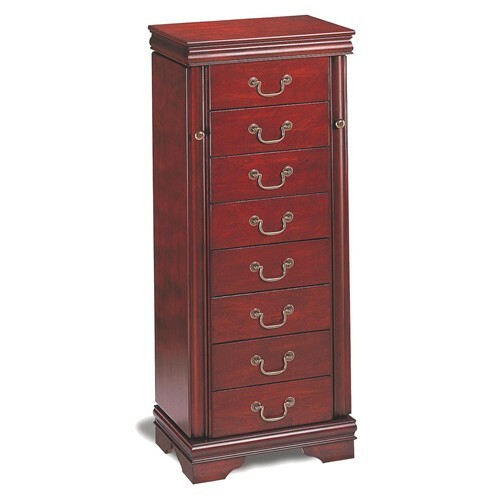 A vibrant cherry finish and antiqued brass look decorative ring pulls lend classic appeal to this jewelry chest. Side doors run the length of the armoire and feature four tiers of hooks for keeping necklaces and chains untangled. Pull out drawers line the chest's front and offer additional space for stowing scarves, hairpieces, earrings, bracelets and more. A framed top and bracket feet define the chest's classic shape and conclude it's conventional design with a simple yet elegant flourish.